Blog Editor’s Note: It seems that every forum lately that talks about positioning, or navigation, or timing, is focusing on resilience. GOOD! The tools for all kinds of disruptions are becoming more widely available, cheaper and easier to use. We need to be prepared, but most of us are woefully behind where we should be. Speakers and topics at the Nov. 13–16 International Technical Symposium on Navigation and Timing opening session have been announced. They focus on comprehensive approaches for obtaining resilient PNT, supported by mega-constellations, and with new concepts to improve reliability. As precise positioning and timing becomes ever more deeply embedded into worldwide critical infrastructure, numerous attacks have already been seen and the sophistication of attacks is growing. A layered defense with flexible responses provides the best hope for meeting the challenges of maintaining required navigation performance under adverse conditions. No single defense or offense, no matter how good, is capable of dealing with all threats. A comprehensive and integrated civil policy is needed that takes into account the nature of the threats, their motivations, their likely evolution, and the costs and approaches for mitigating them. This talk explores not only the technical countermeasures available to civil users but also the legal and social engineering approaches that can militate against jamming and spoofing. The importance of penetration testing is illustrated via real-world examples of what happens when receivers meet a threat for the first time. Effective strategies for civil applications are fundamentally different from those suitable for military applications. Specific and actionable recommendations at the policy, receiver and systems level will be made. The development of so-called “Mega-Constellations” composed of several hundreds of spacecrafts, if not thousands, comprising low-Earth orbit (LEO)satellites among others, initially designed to provide communication services, could also support positioning, navigation and timing (PNT) applications. The architectural and technological specificities of LEO-based PNT systems could represent meaningful differentiators with regard to GNSSs and enhance their attractiveness. Hence, Doppler-based positioning techniques already proven in operational space systems, such as Argos or Cospas-Sarsat, shall strongly benefit of the geometry (i.e. velocity) and the large density of lines-of-sight. By combining range and range-rate positioning techniques, the availability for instantaneous and accurate positioning will thus be enhanced. The newly introduced Satellite Time & Location (STL) system, based on the Iridium constellation, and offering a global and resilient Timing and Position service will support this discussion. Finally, the main architectures for LEO-PNT systems will be described with special focus on the primary and ancillary payload units, but also on the supporting ground segment infrastructures. Karen van Dyke, director of PNT & Spectrum Management at the U.S. Dept. Of Transportation, will speak about “Resilient Positioning, Navigation, and Timing” and radiofrequency spectrum management services essential to critical infrastructure applications, including transportation for safety-of-life applications such as the Next Generation Air Transportation System (NextGen), Positive Train Control, and Intelligent Transportation Systems (ITS). Increasing occurrences of unintentional and intentional interference to GPS, including the spoofing of the signal have been observed. It is important to increase awareness of vulnerabilities of GPS, evaluate the impact, and to research complementary sources of PNT to increase resiliency and make intentional jamming and spoofing less desirable. Also, best practices should be adhered to for implementation and installation of GPS receivers in critical infrastructure applications. With an increased focus on autonomous vehicles for all modes of transportation, there is a need to focus on multi-sensor navigation technologies to ensure reliable operation of vehicles without a human in the loop. This research should be aligned with National PNT Architecture recommendations to overcome capability gaps predominantly resulting from the limitations of space-based PNT. As the civil lead for GPS, the U.S. Department of Transportation also has been conducting the GPS Adjacent Band Compatibility Assessment to understand the power levels that can be tolerated in the radiofrequency bands adjacent to GPS, given increasing demand for use of those adjacent frequency bands for non-space commercial applications. 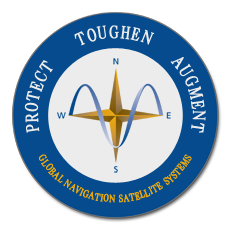 Van Dyke will address resilient PNT from the standpoint of both protecting GPS and GNSS from interference, as well as increasing resiliency by implementation of best practices and utilization of other PNT technologies. With early Galileo services already underway and full operational capability coming in 2020, a strong need for R&D activities in the field of navigation signal engineering has been identified by various programme stakeholders. Considering the long process required for introducing new signals and features in a system that is already deployed and finds itself in the exploitation phase, early R&D activities become essential to investigate potential evolutions and new concepts to improve the Galileo signals and services in the short, medium and long term. The presentation will provide some examples of recent R&D initiatives in this context. In particular, technical solutions developed in the context of the Future Navigation and Timing Evolved Signals (FUNTIMES) project will be presented. FUNTIMES is a European GNSS mission evolution study funded by the European Commission within the Horizon 2020 Framework for Research and Development. Main goals of the project was to identify, study and recommend mission evolution directions and to support the definition, design and implementation of the future generation of Galileo signals.